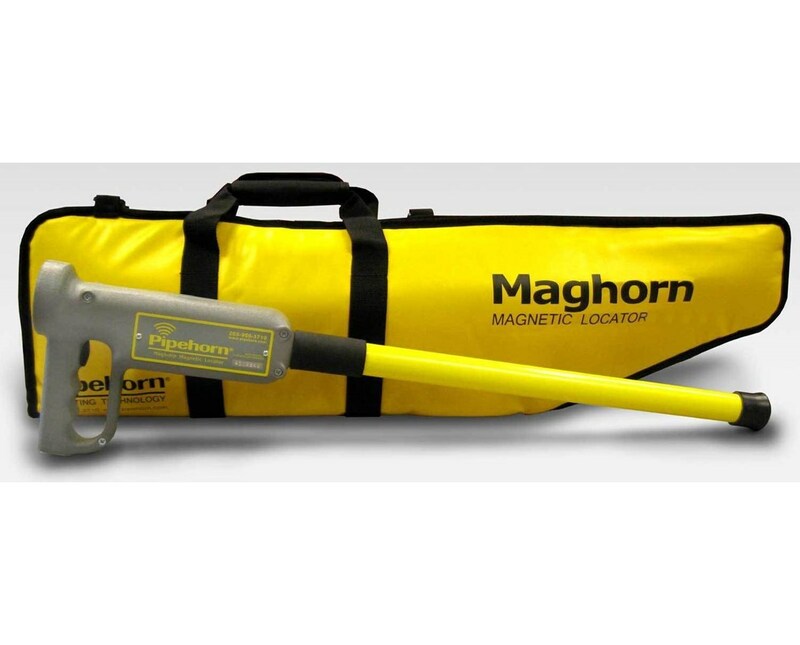 The Pipehorn MD450 MagHorn Magnetic Locator PMD450 detects magnetic fields produced by small objects made of iron, or steel. These objects are also referred to as ferrous or ferromagnetic. Featuring an audio alert, this Maghorn locator notifies if it has located large iron and steel tanks as deep as 15 feet. Made of aluminum and fiberglass, the MD450 magnetic locator maintains precision in rough conditions. You will enjoy the MagHorn’s other features like adjustable sensitivity, single-hand operation, and long battery life. The Pipehorn MD450 specializes in detecting small as well as deep ferromagnetic objects. Yet, this magnetic locator is not affected by nonferrous objects made of aluminum or copper because it is able to screen out these items. Two sensors within the MagHorn allow it to locate magnetic fields. These sensors cause a sound to emit from the magnetic locator’s speaker. This audio alert becomes louder as you approach the source of the magnetic field and quieter as you move away from the source. The MD450 is ergonomically designed for single-hand operation, which saves you time and energy on the job. Power the MagHorn on or off with the flip of a switch and adjust the magnetic locator’s sensitivity by rotating a knob. Aluminum and fiberglass construction helps the MD450 withstand dirty or wet conditions. You can submerge your magnetic locator in one-foot deep water or snow without sacrificing location accuracy or damage to the MagHorn. Two 9-volt alkaline batteries power the Maghorn. And with continuous use, these batteries can last up to 40 hours. 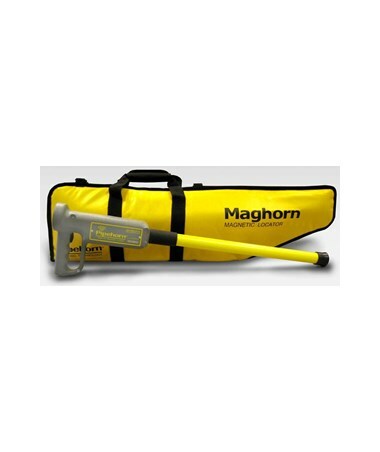 Along with the Pipehorn MD450 magnetic locator you will also receive a 3-year warranty.